$300 Billion in A/R Turnover Managed. 117 Countries Worldwide. 250 Enterprises Using Cforia Globally. Cforia Software Inc. is a global enterprise solutions provider, delivering industry leading working capital and accounts receivable (AR) automation software. Over 250 enterprises are managing $300 billion in A/R Turnover with Cforia today. Our 16 years of success have been driven by superior technology integrated with proprietary real-time data integration tools across complex and disparate ERP systems. 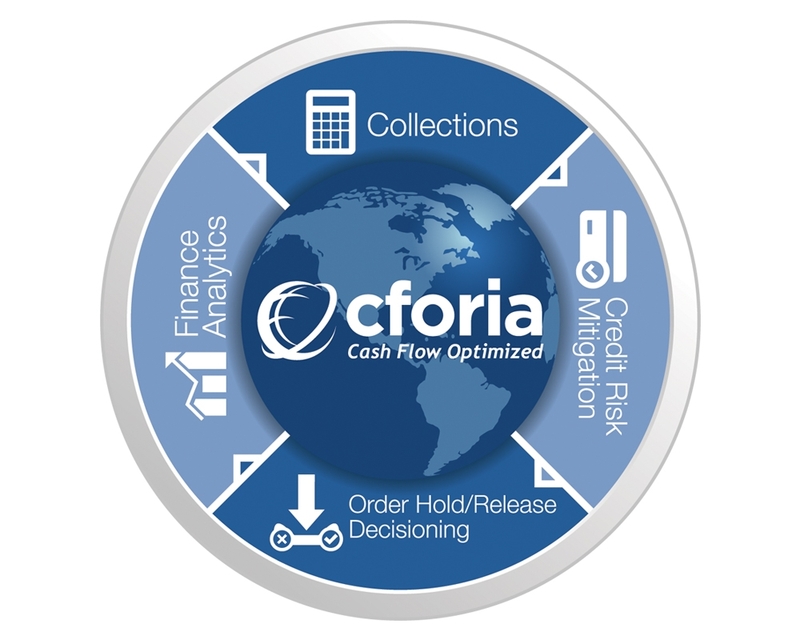 Cforia Collections Snapshot, Credit Risk Analytics, Order Management, Clean vs Dirty Receivables Tracking, multi-languages/currency, global Parent/Child risk roll-up and multi-business unit solutions are available in Hosted On-Site delivery. Cforia was founded in 2001 by technology veterans with extensive experience in ERP applications like SAP, Oracle, PeopleSoft and JD Edwards. At the heart of Cforia’s solution, is our software’s scalability to integrate with other accounting software and collection tools in real-time. The implementation of Cforia’s Real-Time Database allows for efficient, updated functionality in all areas of the product suite: Credit, Cforia.autonomyTM, Customer Self-Service Portal, A/R Collaboration Portal and Cash Application Software. Cforia’s Data Integration Connectors provide faster implementation with greater functionality. Our Data Integration Connectors facilitate rapid real-time integration with your corporation’s existing ERP systems, Document Imaging, third party credit data, email and facsimile servers. Our pre-packaged real-time connectors keep Cforia’s Order to Cash Database continuously up to date to assure efficient functionality throughout our product suite. Pre-packaged connectors greatly shorten project timing and risk by avoiding custom data integration. Cforia solutions are helping over 250 enterprises around the world manage over $300 billion in receivables today. We do this in over 117 countries and in 25 languages. Our products provide value across a wide range of industries including Aerospace, Engineering and Construction, Food Services, Health Sciences, Industrial Manufacturing and Transportation & Logistics. There are three main “levers” a company can use to optimize working capital: Days Receivables Outstanding (DSO or DPT), Days Payable Outstanding (DPO), and Inventory Management. For most companies the largest “lever” is Accounts Receivable which typically holds about 60% of a company’s available Working Capital. If that “operating cash” gets trapped in delayed customer payments, unearned-discounts, deductions (short payments), invoice disputes, bad debt reserve requirements (or worse, write-offs), the company suffers financially.